Getting back to nature and enjoying the outdoors is a perfect way to rest, relax and unwind. Nothing offers this more than a glamping stay; and these days glamping options are in abundance all offering a complete camping experience where you don’t have to rough it and can enjoy time away from the city with minimal fuss and hassle. Norfolk Bells have recently extended their guy ropes to include three fully furnished and permanently pitched bells as our offering of cosy, fun and eclectic glamped options for comfort seeking campers. Sleeping up to 4, our cosy bells allow our guests to enjoy a break in nature and have some wonderful bonding time. And as we all know our four legged friends are as much a member of the family as anyone, we believe that they should be able to enjoy a family getaway too! So our happy bells all welcome one small dog with each booking. Campsites are the perfect place for dogs to enjoy the great outdoors – surrounded by countryside, beaches and peace and quiet. Everyone’s happy wild paradise all around. At Canal Camping in Dilham the six acres of wild grasses offer a picture perfect country idyll from which to enjoy the comforts of your glamping stay in one of our fully furnished bells. Complete with stargazer roof panels, these bells aim to offer glampers a full experience of sleeping under the stars – enabling you to lay in bed and gaze upwards to the night sky whilst you snuggle cosily under your warm blankets, all whilst ‘Rover’ snuggles soundly in his dog bed next to you. And during the day, the campsite is perfectly placed to offer canoeing adventurists a true taste of the ‘Wind in the Willows’ – hire a canoe from the campsite or bring your own and you can launch and paddle your way down the Old Dilham Canal straight from the banks of the campsite itself. A little further afield and you can enjoy the near empty sands of Happisburgh, Eccles and Sea Palling beaches all with blue flag status! The Norfolk Broads is a wild, wetland landscape backed by some of the country’s finest beaches and countryside. 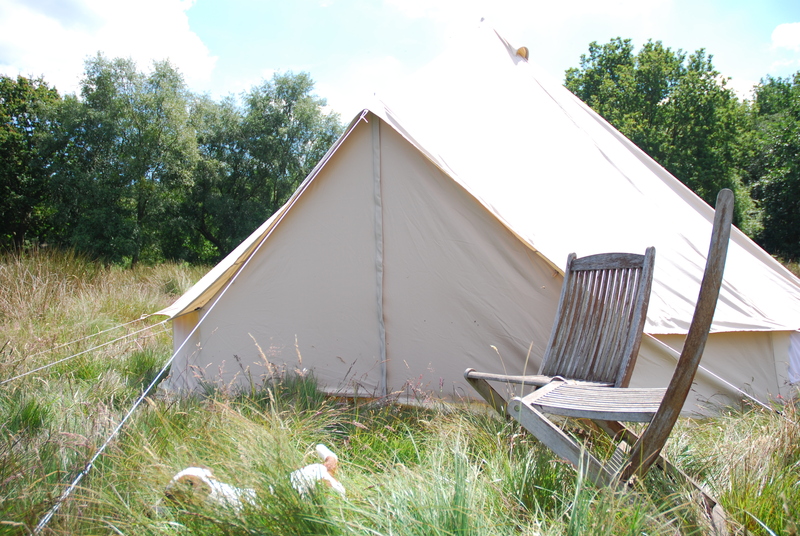 Enjoy a stress free camping stay in the heart of this peaceful corner of England. Enjoy a stress free camping stay in the heart of this peaceful corner of England and book a stay with us this summer.